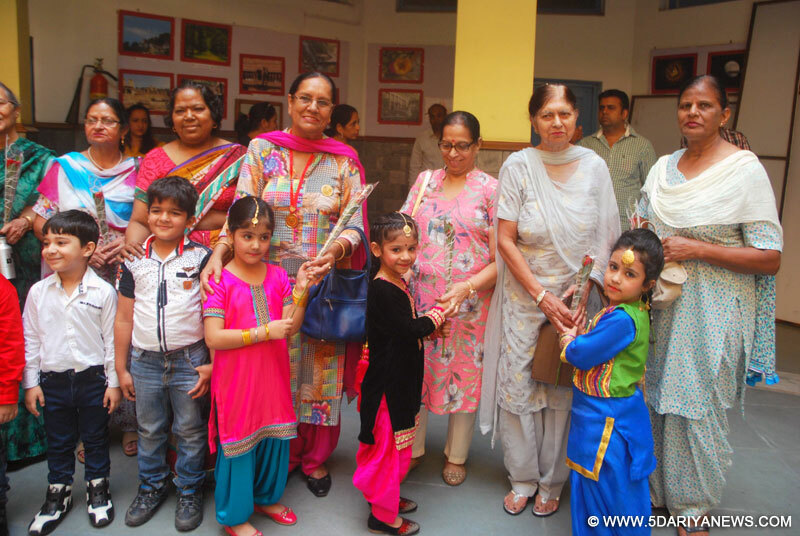 Saupin's School Sector -32 honored cancer survivors at its campus for their will power and dedication to recover and survive. Students also got an opportunity to meet the brave hearts Cancer Survivors and exchanged experiences and feelings during the most difficult part of their struggle for survival. Cancer Survivors encouraged students to live life fully with healthy life style. This event also provided an opportunity to these children to showcase their talents in singing, dancing etc. to cheer survivors. While Speaking at the moment Principal of the school Surita Sharma said that the event was organized to aware students that strong feeling and positive attitude help during the healing process to cope any kind of deadly disease. According to her alertness about cancer is important not only for supporting the patients, but also for preventing it. People should be aware of the importance of being cautious about cancer. She further added that it is the time to make a self-awareness as well to make life happy with a healthy lifestyle and it is high time particularly, for youngsters to stay away from undesirable lifestyle since Cancer is closely related with lifestyle.